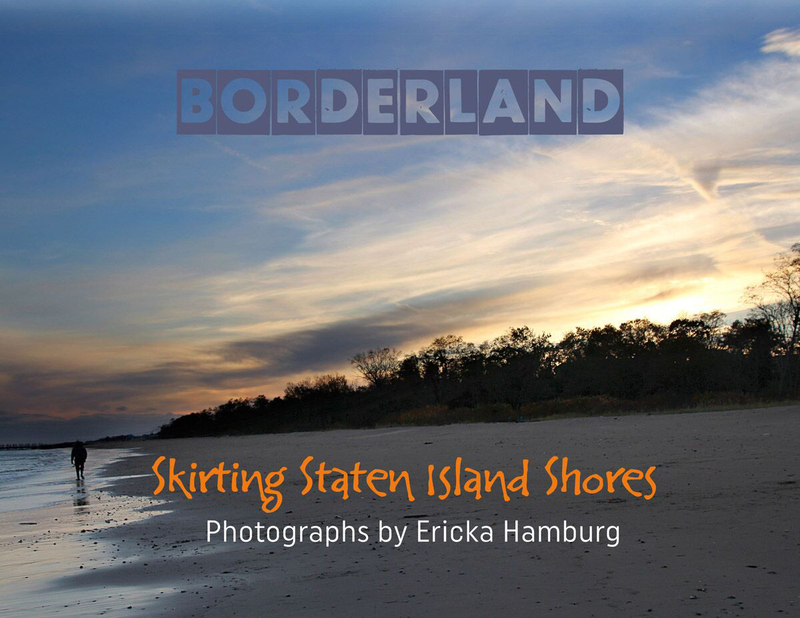 In that spirit, projects are always in the works. 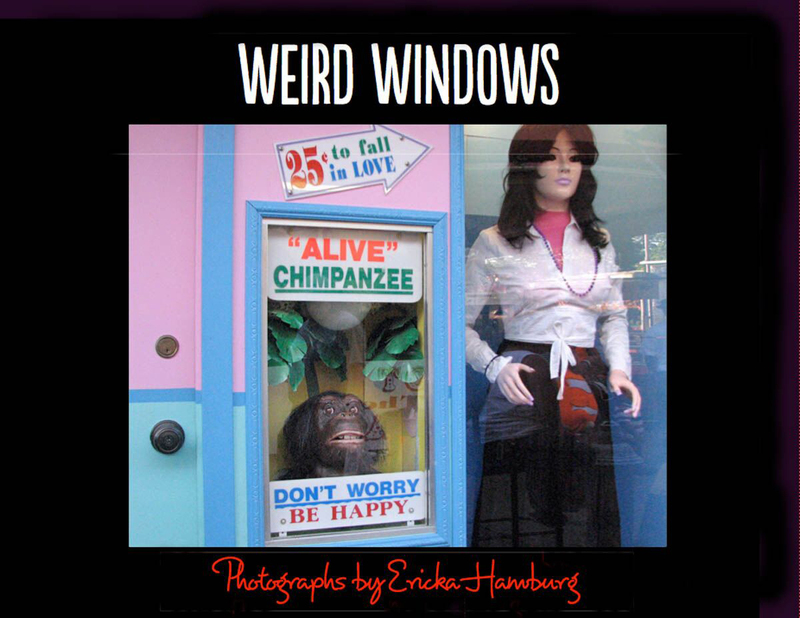 Two photography books, Weird Windows, a visual survey, and Borderland, a circumvention of Staten Island, will soon be available. 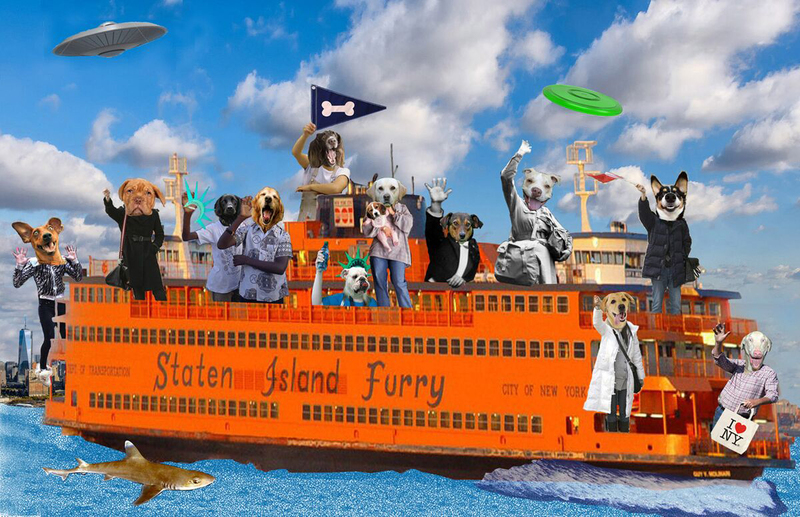 The photo montage Staten Island Furry, currently featuring either dogs or cats; image 5 x 8 “, in a 9 x 12 mat. 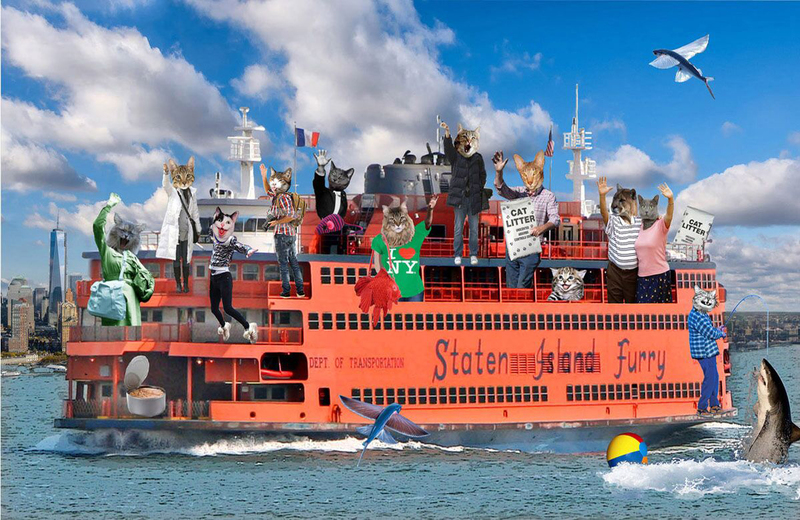 Great for fans of our animal companions and the big orange boat.